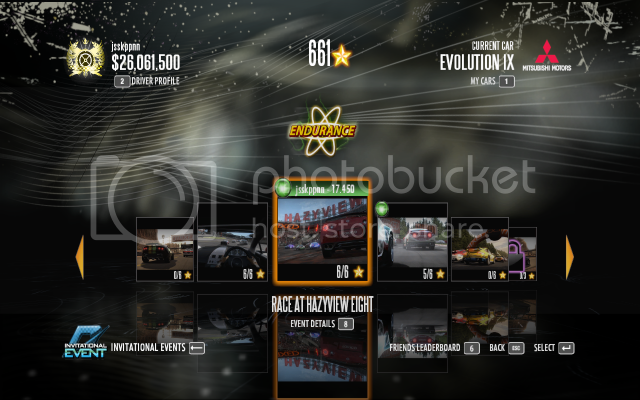 If you beat me with the car I used, you win the challenge, if you use another car, it's my turn to try. 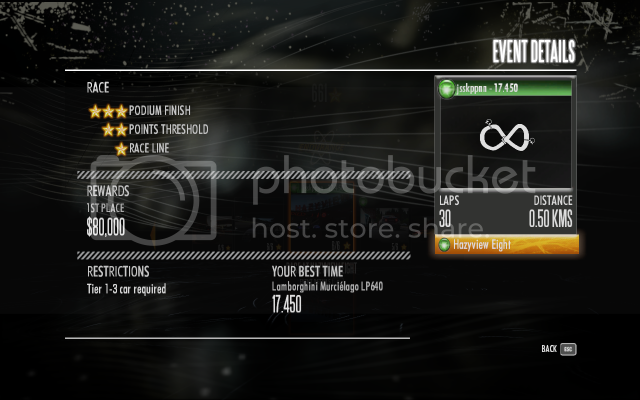 The race details screen is enough. 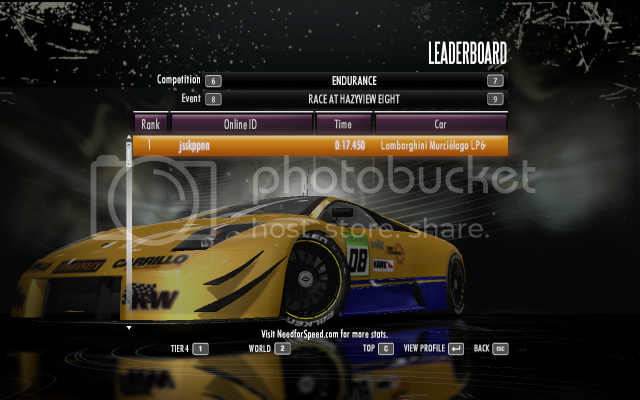 You do not have to post the leaderboard, but your time has to be recorded on the leaderboard. Alright, so you want me to get dizzy? Man, it says it's an Endurance Race, nut in reality it's a Demolition Race. So this should be sufficient? you did beat me fair and square!